As per Section 15 of Rules of Road Regulation, 1989, the following rules apply to motorists and 2-wheelers. Near a bus stop, school/ hospital entrance, blocking traffic sign or premises entrance or a fire hydrant. As per the Sections 127 and 201 of Motor Vehicles Act, 1988, if a motor vehicle is left abandoned or unattended for ten hours or more in a public place, so as to cause impedement to the free flow of traffic, its removal by a towing service or wheel clamping may be authorized by a police officer in uniform having jurisdiction. So, if your car is not violating any of the above and still your car is towed, you may quote the above laws. A Mumbai high court order in a Public Interest Litigation (PIL – WP 2695 of 2005) filed by Gaurang Damani (author of this website) against the Mumbai traffic police, the judges said that the entire system of awarding contracts to towing operators suffers from a serious legal flaw. The petitioner had demanded that there should be a judicial inquiry into the financial accounts of the towing contractors. Firstly, the judges directed that a car cannot be towed unless it is causing obstruction to the free flow of traffic. Hence, towing should be restricted to main roads. Secondly, you cannot park your car ‘at or near’ the corner. But there is no ’15 meters from road corner, no-parking’ rule! The traffic police cannot tow cars without a written order (like a panchnama) from the traffic constable. The judges also directed that no towing contractor can open a parked car unless there is a written order by the traffic police to do so. Also, the judges inquired as to why towing was given to private contractors, if government vehicles were available? Lastly, if there is damage to the vehicle, then the towing contractor is liable to pay for the damages (as per the said HC order). The Mumbai High court has called for a halt to the unregulated manner in which the traffic police and the towing contractors operate in the city. The court has instructed the traffic police to frame guidelines for awarding contracts to towing agencies within four months. Out of 116 towing contractors 16 were owned by relatives of traffic police personnel. They have been removed from service and another 41 too have been de-commissioned. Only 59 tow trucks are operational, and these too will be de-commissioned within 4 months when tenders will be invited. The traffic police’s advocate admitted in an affidavit, that there was a need for only about 75 towing trucks in Mumbai, but the traffic police had deployed 116 in the city. 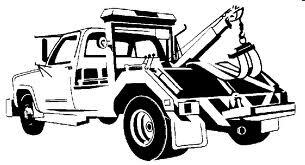 As of April 2015, there are 61 tow trucks in the city. From the period January to June 2006, the police had towed 171,804 vehicles and were claiming that they had received only 7 complaints for damages and that they had compensated all 7 vehicles. This seemed to be grossly misconstrued. The judges RM Lodha and NH Patil said “the entire towing service operation in Mumbai is infested with nepotism and favouritism”. Judges said anyone’s car that has been damaged due to towing in the last 6 months can lodge a complaint and claim compensation with the nearest traffic chowky. Also the future guidelines will have to include clear instructions on how the car owner will be compensated in case of damage to the vehicle.